RSS chief Mohan Bhagawat would pay a visit to Assam in January next year to further strengthen the organisational base in the State. 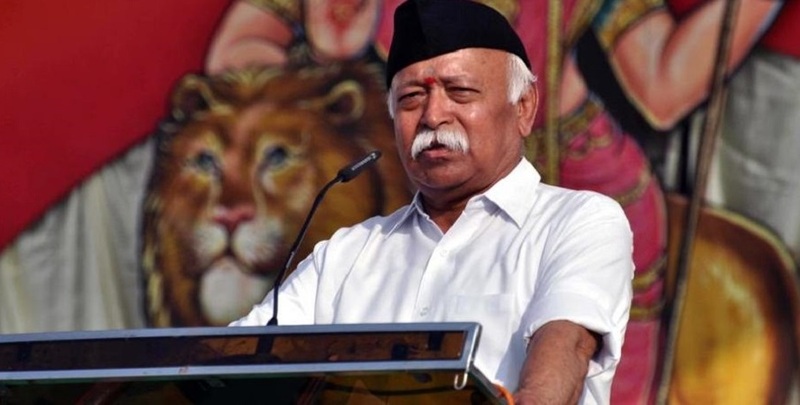 The RSS chief will address a massive rally–Luitporia Hindu Samabesh— at College of Veterinary Science playground at Khanapara in Guwahati on January 21. The rally, organized by the North Assam unit of RSS, is expected to attend around 80,000 people, RSS sources told Northeast Now. Bhagawat would also interact with the North-eastern region executives of RSS, sources said. There have been widespread speculations that the first ever Hindu congregation in Guwahati in the run-up to the 2019 Lok Sabha poll is set to polarize the region’s indigenous people, especially the Hindus in Assam. “Luitporia Hindu Samabesh will be first of its kind in the Northeast. It will be graced by RSS chief Mohan Bhagawat. Over 40,000 RSS workers have enrolled themselves to be present at the Samabesh. Apart from RSS workers and leaders, the congregation will be attended by BJP leaders and cadres, ABVP members and members and leaders of other organizations and bodies allegiant to the Sangh Parivar,” a source said. The source further said, “Apart from martial arts and parade by RSS members, the grand congregation will showcase the cultural richness, religious and other traditions of the Northeast. Earlier, in May 2 this year Bhagwat came to Hojai on a four-day programme at Gitashram.